Many dental emergencies require immediate attention, or the patient may suffer from complications or even tooth loss. If a permanent tooth is knocked out, time is critical. Ideally, the tooth should be replaced into the socket at the accident site. The patient should be rushed to the dentist, who will then splint the tooth into place by using orthodontic wire or bonding material. If the tooth cannot be immediately replaced into the socket, it should be held in the mouth in the patient's cheek or under the tongue. It is also possible to place the tooth into a glass of milk or a glass of water with a small pinch of salt. Do not try to clean any tissue from the tooth because this is an important element in allowing reattachment of the tooth. The ADA advises the patient be brought to the dentist within thirty minutes. A successful reimplantation will be less likely if the tooth is out for an extended period of time. Unfortunately, if a baby tooth is prematurely lost due to accident or injury, it cannot be reimplanted. Do not try to replace lost baby teeth. The upper front teeth are the most frequently traumatized, and they sustain about 80% of all dental injuries. The incidence of injury is greatly increased if the teeth are bucked and protrude beyond the lip line. In such instances, early orthodontic treatment sometimes is advised to pull the teeth back in line. Infants and toddlers are particularly susceptible to traumatic injuries because they lack coordination. Trauma may cause the displacement or loosening of teeth in young children. With older children or adults, trauma often results in damage to the permanent tooth in the crown (the part of the tooth above the gum) or root fracture. If the crown of the tooth is fractured in an accident, be sure to save the broken piece. Many times it can be bonded back into place. 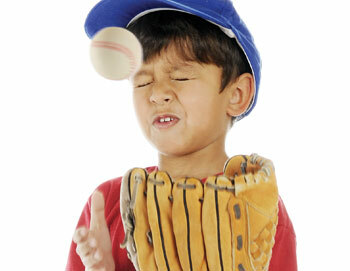 It is estimated that anywhere from 13% to 39% of all dental injuries are sports related. It is for this reason the American Dental Association recommends that children and adults who participate in sports such as football, basketball, wrestling, soccer, rugby, and other contact sports wear mouth guards to protect against these types of injuries. In the event of dental swelling due to infection, contact our office immediately. If you are running a temperature, having difficulty swallowing, or experiencing trouble breathing, the infection could be serious. Untreated dental infection can result in systemic illness, hospitalization, and even death. The best way to avoid this problem is to maintain regularly scheduled checkup appointments. In this way, we can find problems when they are small and avoid any crisis situations. If there is any question as to what to do in case of an emergency, please do not hesitate to contact our office. Early detection of oral cancer not only is possible but also may save your life. If cancer of the mouth is discovered and treated early, the five year survival rate is 76%, but it is only 19% when the cancer spreads from the mouth to other parts of the body. The current overall survival rate for oral cancer is only 50%. Some of the early warning signs of oral cancer are a soreness or swelling that doesn't go away; a sore in the mouth that bleeds easily or doesn't heal; and a lump, thickening, or soreness of the mouth, tongue, or throat. Oral cancer may appear in the mouth as a white or red patch that doesn't heal. One may notice that it is difficult to chew, swallow, or move the tongue or jaw. Symptoms may also include numbness of the tongue or other areas of the mouth. 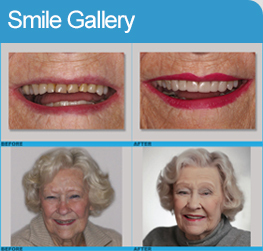 A denture may suddenly not fit, or it may become uncomfortable to wear due to a growth. Any white or red lesion that is present in the mouth for more than two weeks should be evaluated and considered for a biopsy, if indicated, to insure an accurate diagnosis. The use of tobacco and excessive use of alcohol will increase the risk of oral cancer. If both tobacco and alcohol are used together, the risk is much greater than if either substance was used alone. Many people mistakenly think that cigars are not as harmful as cigarettes because the smoke is not inhaled. Cigars cause an increased chance for oral cancer because the smoke is held in the mouth longer. Chewing tobacco also increases the incidence of oral cancer because the tobacco is held in the mouth for extended periods of time. In addition, chewing tobacco contains sand, which is extremely abrasive to the teeth and causes erosion, as well as large amounts of sugar that causes an increase in the decay rate. Exposure to ultraviolet radiation from sunlight or from a tanning bed increases your risk for cancer of the lips. Advanced age carries an increased risk for oral cancer because the longer you live, the more exposure you have had to cancer causing agents. The greatest incidence of oral cancers occurs in people from sixty-five to seventy-four years of age. Oral cancer can appear about ten years sooner in African Americans. Men are affected with oral cancer about twice as often as women. It occurs more frequently in African Americans than in Caucasians. HPV oral and oropharyngeal cancers are harder to discover than tobacco related cancers because the symptoms are not always obvious to the individual who is developing the disease, or to professionals that are looking for it. They can be very subtle and painless. A dentist or doctor should evaluate any symptoms that you are concerned with, and certainly anything that has persisted for two or more weeks. Although there are many adjunctive oral cancer screening devices and tests, not all of them can find HPV positive oral and oropharyngeal cancers. The best way to screen for HPV related oral and oropharyngeal cancer today is through a visual and tactile exam given by a medical or dental professional, who will also do an oral history taking to ask about signs and symptoms that cover things that are not visible or palpable. Like other cancer screenings you engage in, such as cervical, skin, prostate, colon and breast examinations, opportunistic oral cancer screenings are an effective means of finding cancer at its early, highly curable stages. However like many other cancer screening techniques, this process is not 100% effective, and any screening technique or technology can miss things. This is why it is so important that persistent problems, those which do not resolve in a short period of time like 2-3 weeks, are pursued until a definitive diagnosis is established. HPV is the leading cause of oropharyngeal cancers (the very back of the mouth and part of what in lay terms might be called a part of the throat), and a very small number of front of the mouth, oral cavity cancers. HPV16 is the version most responsible, and affects both males and females. In public messages for simplicity, the Oral Cancer Foundation frequently speaks about oral cancers in general. Scientifically, this is really anatomically divided up into the oral cavity and the oropharynx. Each anatomical site has different statistics, etiologies which dominate that location, and outcomes from treatment. The fastest growing segment of the oral and oropharyngeal cancer population are otherwise healthy, non-smokers in the 25-50 age range. When you consider both anatomical sites, HPV is driving the growth in numbers of oral cancers. White, non-smoking males age 35 to 55 are most at risk, 4 to 1 over females. In the oral/oropharyngeal environment, HPV16 manifests itself primarily in the posterior regions (the oropharynx) such as the base of the tongue, the back of the throat, the tonsils, the tonsillar crypts, and tonsillar pillars. When you come in for your oral examination, we will routinely do an oral cancer screening examination. If you have an area of concern, please be sure to let us know. If you smoke or use any tobacco products, we would be happy to talk to you about available products to help you stop. Over 95% of mouth cancers occur in people over forty years old, and unlike some cancers, they can be successfully treated if detected early. By doing a self-examination of your mouth on a regular basis and visiting your dental professionals regularly, you can reduce your risk of oral cancer and maintain the health of your mouth.